YOU’VE LOST TEETH? DON’T LOSE HOPE, TOO. 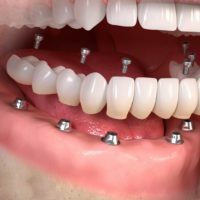 DENTAL IMPLANTS ARE REPLACEMENT TEETH THAT LOOK GREAT AND TRULY LAST. 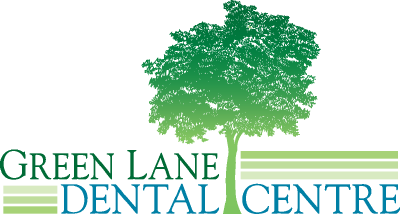 Dental implant technology is a remarkable advancement in dentistry. A dental implant is a replacement tooth that is designed to look and feel like a real tooth. 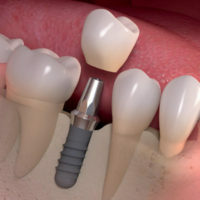 Every dental implant has a root, which replaces your natural tooth root. 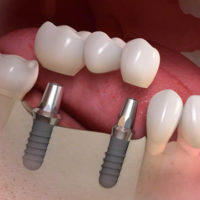 The dental implant root is always made of titanium. Once our dentist inserts the implant root into your jawbone, the titanium root will actually begin to bond with your natural bone tissue. You end up with a replacement tooth that stays firmly in place permanently! 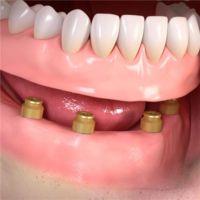 The visible part of the dental implant is called the dental crown. This piece is crafted to look like your natural teeth—in color, shape, size, and position.  BEST PRICE ON QUALITY SERVICE GUARANTEED! This gentleman came for consultation with Dr Sage 5months ago complaining of his loose lower denture that food trapped under it.According to the bone thickness of his jaw , a denture supported by implant was planned for him as he did not want any bone grafting or complicated procedure .He is so pleased with his new denture and can enjoy his rare cocked steak, not only no more food trap under the dentur but also perfect retention for it and hardly he can remove his denture. 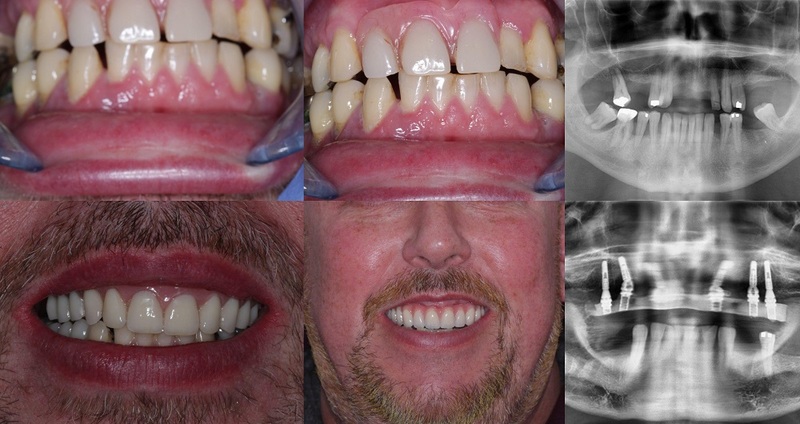 All on 6 implants with immediate fixed bridge loaing the same day.He used to wear a removable denture for upper jaw which was not comfortable and he was looking for an otion to have the implant and in the same day get his fixed bridge. After a proper consultaion, he was aoofred extraction all remaining teeth in upper jaw and have 6 implant ( All on 6 ) and the same day bridge.All rpocedure done with local anesthesia and surgica guide based on his CBCT scan.This Fixed bridge is temorary and he had to comeback after 6 months when the gum healing done after extration and then bridge made for him.